Launch identified short time ago over northern Golan Heights intercepted by Iron Dome, according to IDF Spokesman. Visitors to the Hermon site, which is now full of skiers, reported today an interception was carried out by the area Iron Dome system. A short time later, the IDF Spokesman issued a statement that a launch was identified over the northern Golan Heights area and was intercepted by the Iron Dome system. According to the Hermon site routine continues, according to army instructions. Earlier in the day, Syria announced its air defense systems had foiled an Israeli air strike in the south of the country. 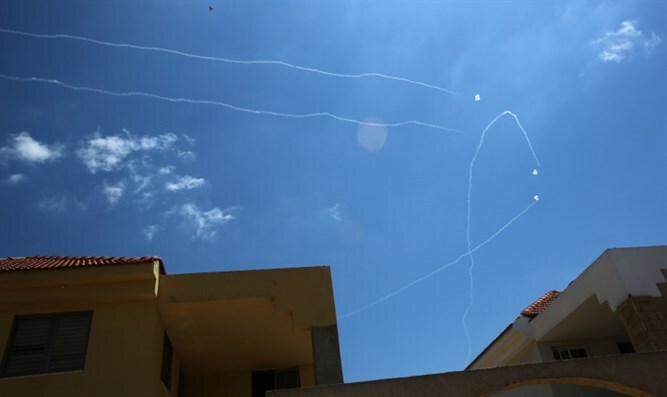 A military source told the SANA news agency: "Our air defense systems thwarted Israel's air strike and prevented it from achieving its objectives." However, the source did not add further details. The IDF Spokesman did not respond to Syrian reports and claims. Opposition sources later claimed the targets were Iranian bases located south of Damascus.